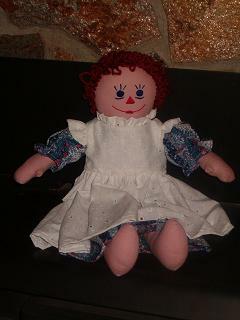 This doll is for all of you who, like me, did not have a Raggedy Ann type doll. 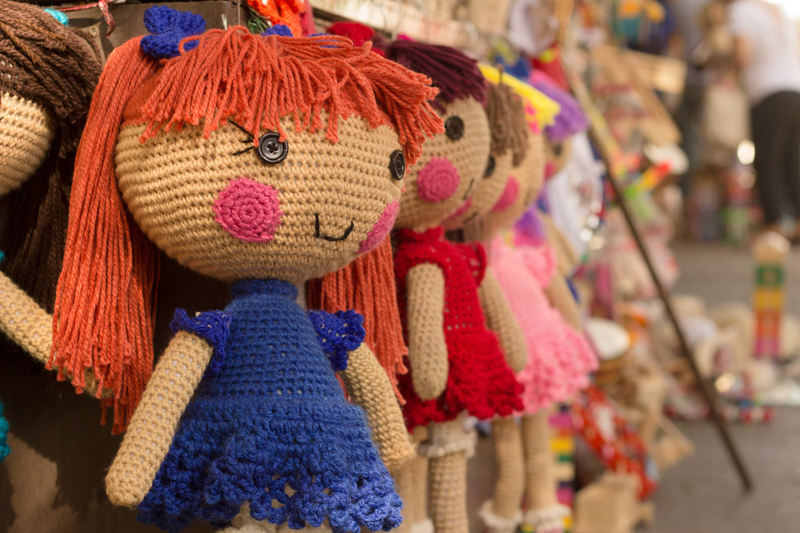 At first I considered buying one, but I love designing and making my own cloth dolls and doll clothes. A little research showed me that there are unlimited websites where you can buy a doll but very few that show you how to make a doll, and even fewer that don't charge a fee for use of their pattern and instructions. So here to fill that slot is my series of articles on how to make your own Annie Doll. The design is my own and is for your personal use, but may not be reproduced for commercial use. I have created the facial features to look like other commercially available rag dolls, but different enough to not infringe on anyone's copyrighted design. Feel free to make your own doll look how you like. My doll is made with pink fabric, if you want yours to look like the original you'll want to use white fabric, the choice is up to you. You may also choose to use red and white striped fabric for her legs and black for her shoes. If you use striped fabric for her legs, place the pattern on the fabric so that the stripes go horizontally around her legs. To have black shoes cut the foot off the leg pattern, at the dotted line, and cut the foot out of black fabric. Be sure to add a 1/4 inch seam allowance to the top of the foot and the bottom of the leg, where you need to sew them together. All pattern pieces include a 1/4 inch seam allowance and are shown on a 1/2 inch grid. To copy the pattern by hand you can create a 1/2 inch grid by measuring every half inch and making a pencil dot all the way down and across, on both sides of a piece of 8 1/2 by 11 inch paper. Then use your ruler or straight edge to connect the dots with your pencil. Then draw the pattern lines into each square of your grid, exactly as they are shown in my design.